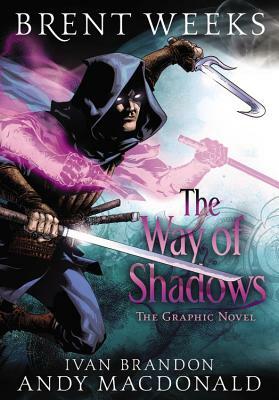 From the gutters of the Warrens to the opulent court at Khalidor, Brent Weeks's epic fantasy THE WAY OF SHADOWS unfolds on the page of this graphic novel adaptation as seen through the eyes of seasoned illustrator Andy MacDonald! For the orphan Azoth, there are precious few avenues out of the life of a guild rat in the back alleys of the Warrens. There are no rewards without risks, and there are few greater risks than apprenticing yourself to the city's most accomplished assassin, Durzo Blint. Reborn as Kylar Stern, the young man must learn to navigate the intrigues of politics and the intricacies of magic, but does he have both the killer instinct and the raw talent to survive the cutthroat life he's chosen? Andy MacDonald is a veteran comic book artist who has worked with virtually every major comic book publishing house and was one of the co-creators of the series NYC Mech. He lives in Brooklyn, NY.